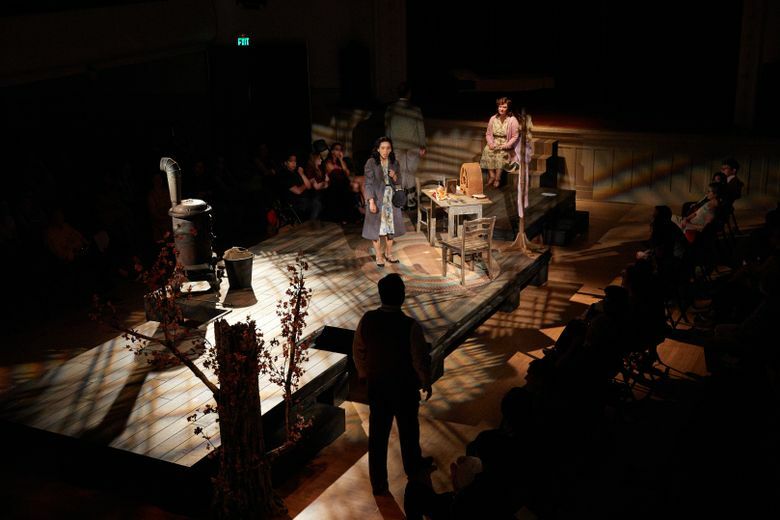 Opera about incarceration of Japanese Americans during World War II staged in Washington Hall, where they were sent to register in real life. There is a special symmetry in staging “An American Dream” in Seattle’s historic Washington Hall. In 1942 — 75 years ago — our region’s Japanese-American residents were sent to this very hall to register in the tumultuous months following the attack on Pearl Harbor. Now Seattle residents have the opportunity to hear and see a heart-wrenching opera about the human cost of President Roosevelt’s executive order authorizing the incarceration of more than 120,000 West Coast residents of Japanese descent. 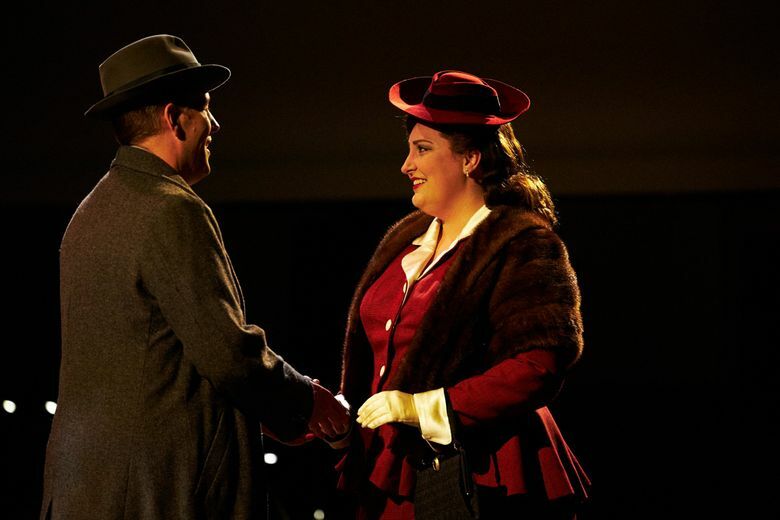 This is the second Seattle Opera production of the one-act opera by composer Jack Perla and librettist Jessica Murphy Moo, and it’s strikingly different from the premiere in the company’s usual home on the expansive stage at McCaw Hall. In the intimate confines of Washington Hall, located in the heart of the city’s Central District, the listener may be only a few feet away from the singers, and close enough to see the members of the pared-down orchestra take a breath before a phrase. The expressions of the singers — a raised eyebrow, a sudden frown, even an indrawn breath — are almost startlingly intimate. One thing that’s necessarily missing from this show is the projected titles that accompany (and translate) all the McCaw Hall performances, and it is a little daunting to realize how much we operagoers are accustomed to having those handy words projected above the stage — even when the opera is presented in English. When singers’ vocal lines rise above the staff (and sometimes even when they don’t), diction often becomes secondary to vocal production. Through Sept. 17 at Washington Hall, 153 14th Ave., Seattle; $45 (206-389-7676 or www.seattleopera.org). But in Thursday evening’s opening show, while listeners may have missed some fine points of the libretto, there was no lack of clarity about the story — the agonizing departure of the Kobayashi family forced out of their home and the desperate worry of the German-Jewish war bride who leaves her endangered parents behind as she unknowingly displaces the Kobayashis. The 90-minute show is preceded by short but telling film clips from six Japanese Americans and one Caucasian American relating their experiences following Pearl Harbor. This is an eloquent and moving stage-setting device. But “An American Dream” is an opera that would provide its own remarkable impact regardless of any introductions. Peter Kazaras’ staging, cleverly adapted to a smaller and less traditional space, puts the characters exactly where they need to be with an excellent economy of gesture; Judith Yan, who returns as conductor, cues every singer and all her instrumentalists with alacrity, and realizes all the colors of Perla’s shape-shifting score. The look of the production is spare and simple. 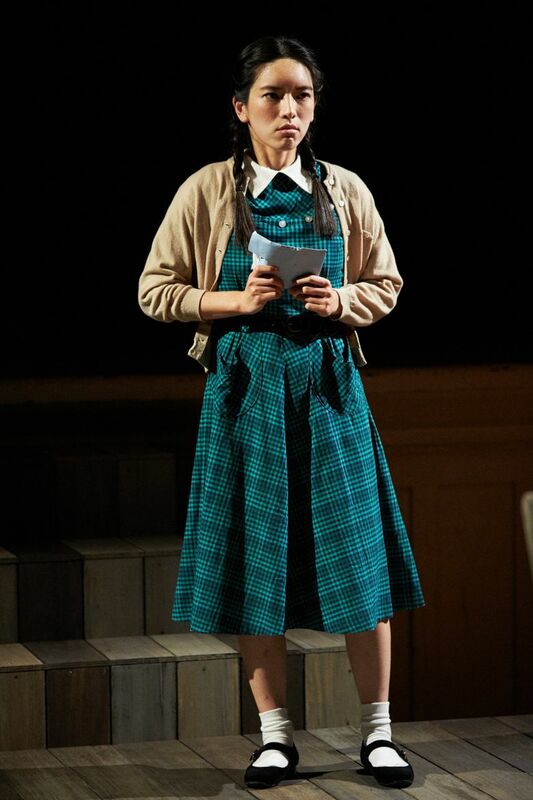 Julia Hayes Welch’s set design works admirably “in the round”; Connie Yun’s lighting is subtly effective and Chelsea Cook’s costumes strike the right historical note. And so does the hall, doubtless the silent witness to the same anguish that fuels this memorable production.